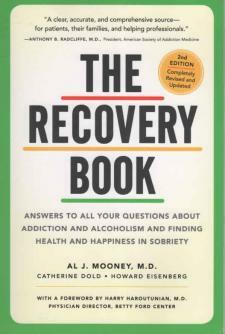 Announcing a completely revised and updated second edition of The Recovery Book, the bible of addiction recovery. Written for the 23 million Americans struggling with alcohol and drugs, it is "a clear, accurate, and comprehensive resource-for patients, their families, and helping professionals" (Anthony B. Radcliffe, M.D., former president, American Society of Addiction Medicine). Dr. Al Mooney, who lectures internationally on recovery, writing with medical and health journalists Howard Eisenberg and Catherine Dold, covers all the latest in addiction science and recovery techniques. Extensive research in neuroplasticity, for example, sheds new light on how alcohol and drugs actually alter pathways in the brain-but also how this same process, when trained in recovery, can remold the brain, making sobriety a routine way of life. A new understanding of gender and addiction leads to revised insights, techniques, and new hope for treating women in recovery. The book also covers the latest problems and treatments for prescription drugs (now more pernicious than illegal drugs); up-to-date models for intervention; and more.